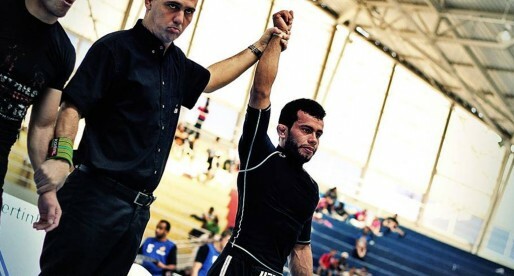 Seif-Eddine Houmine is a Moroccan born black belt in Brazilian jiu-jitsu, a rank he achieved while training under the guidance of Mathias Jardin and Zakaria Arhab. 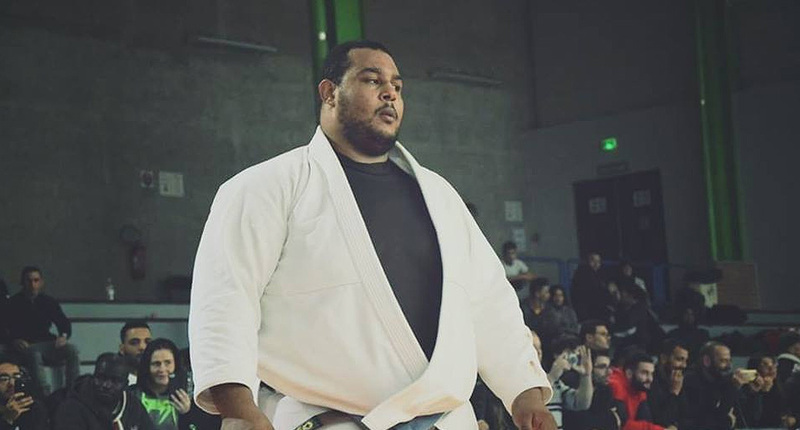 Houmine is widely recognized as one of the top representatives of the GF Team – France in the sport’s international circuit, being one of the top ultra-heavyweight (+100,50 kg / +222.0 lbs) athletes of his generation. Seif-Eddine Houmine was born on June 24, 1988, in Oujda, a city in northeast Morocco, near the Algerian border, where he was raised. It was during lower secondary education – which starts during the pre-teens age group, that Seif-Eddine found his love for sports. He became particularly proficient at hammer throwing during this period, competing at a high level before he was forced to step down from any sporting activity by his father’s request, as the school system did not cater for these sporting activities. In high school Houmine returned to competition, being given the choice to practice judo or rugby; Seif-Eddine chose to do both, going on to play at a national level in judo and in rugby. He was eventually called to play for the Morrocco national rugby team, but the move was vetoed by Houmine’s father, who believed he needed to focus on his school grades, forcing him to relinquish all sporting activities. As a 17-year-old, Seif-Eddine Houmine moved to France, seeking to pursue his studies. While there he got into weight training, discovering jiu-jitsu years later, at the age of 21 (2001). 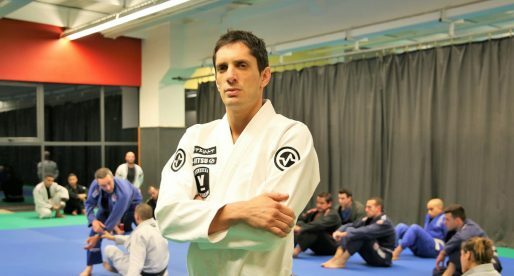 At the time, the young Moroccan was looking to practice a combat sport, he had heard of jiu-jitsu and the fact that Jackson Paulo Jacinto had recently opened a BJJ gym in Lille, where Seif-Eddine lived, drove him to the Brazilian black belt’s gym. Although a very large individual with experience in judo groundwork (newaza), Seif-Eddine was man-handled by Jackson Paulo and his students in his first class. The experience was ego chattering, but Houmine decided to return, quickly becoming hooked to the sport/martial art. 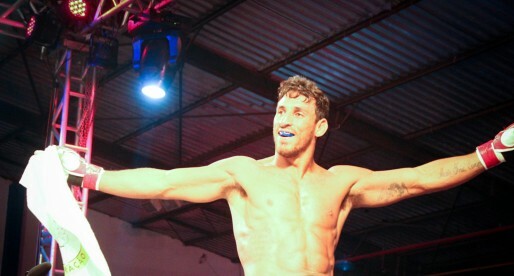 Seif remained with Jackson Paulo up until his blue belt, he would later relocate and join coaches Zakaria Arhab and Mathias Jardin of the Grappling Fight Team (GFT) in Paris. It was under these two coaches that Houmine progressed through the belt system, earning his black belt on April 2018.